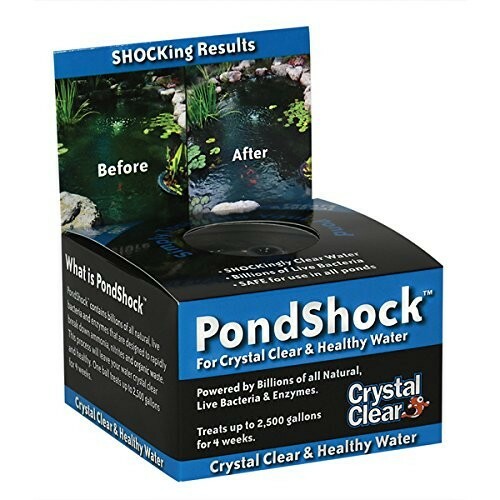 CrystalClear PondShock contains billions of all natural, live bacteria and enzymes that are designed to rapidly break down ammonia, nitrites and organic waste. This process will leave your pond crystal clear and healthy. One Pond Shock ball treats up to 2,500 gallons for 4 weeks. Simply toss the ball and activating gel into the pond water and PondShock immediately goes to work to clean up organic waste to provide crystal clear water. PondShock is also designed to jump-start your biological filters by helping to remove toxic ammonia and nitrite. 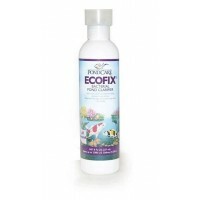 Safe for use in all ponds, will not harm fish like chemical treatments! 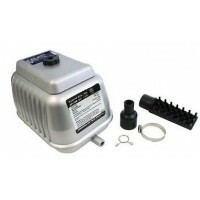 PondShock is designed to give your pond an extra boost when poor water quality issues escalate. PondShock also helps jump-start your biological filters in the spring and reduce ammonia spikes when new fish are added to the pond. PondShock is a great alternative to chemicals to clear your pond.